Negotiations between presidents of Russia and Turkmenistan Dmitry Medvedev and Gurbankuly Berdymuhammedov took place in Moscow on March 25. 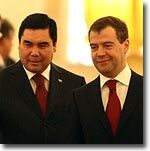 It is not the first meeting between the leaders of Russia and Turkmenistan. The head of the Russian state made an official visit to Ashkhabad last July. According to RIA-Novosti news agency, Presidential Administration Director Sergei Naryshkin, Presidential Aide Sergei Prikhodko, and Foreign Minister Sergei Lavrov represented Russia in the talks. Foreign Minister Rashid Meredov and deputy premiers Tachberdy Tagyev and Khodzhmuhammet Muhammedov represented Turkmenistan. A meeting between Russian and Tajik delegations followed the talks. The Russian-Turkmen negotiations were centered around fuel and energy cooperation, cooperation in the spheres of electric power industry, agriculture, transport, and telecommunications. Expansion of industrial cooperation and deliveries of machinery were discussed as well. The presidents discussed implementation of the agreement on construction of the Caspian Gas Pipeline and development of Central Asian gas transportation facilities. When the talks reached the international part of the agenda, Russian and Turkmen leaders discussed Afghanistan and interaction within the framework of the Commonwealth and the Caspian Five. "We discussed fuel and energy cooperation and implementation of agreements concerning the Caspian Gas Pipeline and some other projects. New documents and new projects were discussed as well. 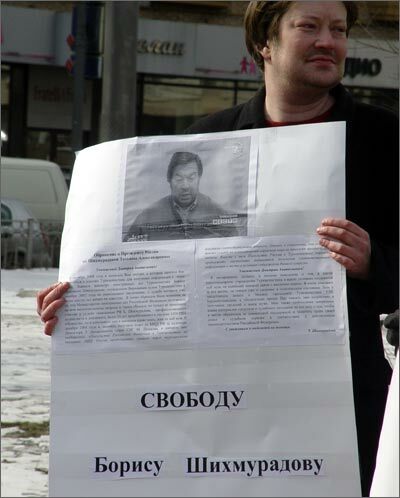 I reckon we will sign these documents soon," Medvedev said at the joint press conference afterwards. According to RIA-Novosti, Fuel and Energy Minister Sergei Shmatko will visit Ashkhabad before long to complete work on the agreement concerning East-West Gas Pipeline that will connect gas fields in the northeastern part of Turkmenistan and the Caspian Gas Pipeline. Russian and Turkmen leaders plan to sign this document at one of their meetings in the near future, perhaps even during the St.Petersburg Economic Forum come June. Construction of the Caspian Gas Pipeline in the meantime will begin in 2009. This is a joint project combining efforts of Turkmenistan, Russia, and Kazakhstan. The Turkmen media reported in January that Ashkhabad wanted a higher running capacity for this gas pipeline so as to use gas from Turkmen gas fields. President of Russia meantime commented on the impressive growth of the Russian-Turkmen trade turnover. "There are resources for diversification of our cooperation and advancement of its investment potential," Medvedev said. Medvedev called the negotiations just ended "constructive" and added that the Russian-Turkmen dialogue had been conducted in "sympathetic atmosphere". "We value this atmosphere, relations between us are genuine relations of partners," he said. Contrary to Russia's expectations, the visa regime was never abolished. 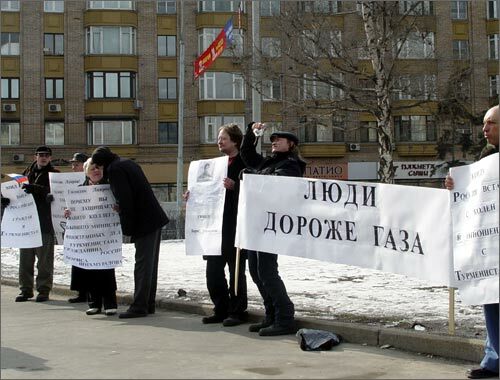 Neither was the position of the Russians in Turkmenistan discussed - despite demands made by human rights organizations. Signing of the joint declaration marked the end of the talks. It stated that "... the Russian Federation and Turkmenistan stand for continuation of consultations and negotiations over problems of the Caspian Sea." The document stressed importance of the Tehran Declaration and decisions of the Second Caspian Summit (October 2008), including those dealing with legal status of the Caspian Sea. "The Russian Federation and Turkmenistan emphasize the necessity of implementation of all decisions of the Caspian summit in Tehran as a precondition for the Third Caspian Summit in Baku, Azerbaijan." Medvedev and Berdymuhammedov acknowledged expediency of regular consultations over bilateral and international issues and matters of common interest. The consultations will be arranged on all levels, including those of the heads of states, ministers of governments, and official delegations. The two leaders seconded the idea of an international conference in Ashkhabad in April 2009, one where reliable and stable fuel export to the global market was to be discussed. Berdymuhammedov invited his Russian counterpart to make a state visit to Turkmenistan when he thought convenient. "Date of the visit will be set after diplomatic consultations," the joint declaration stated. Bilateral agreements were signed in the presidents' presence: on encouragement and protection of investments, railway ferry service via harbors of the Astrakhan region, mutual recognition of college and university diplomas, mutual assistance with certification of academics and teachers. Representatives of the Russian and Turkmen ministries of internal affairs and agriculture and prosecutor general's offices signed cooperation agreements. The Russian Federal Security Service and Turkmen Border Service signed a document on border cooperation and a personnel training protocol to it. Berdymuhammedov will visit St.Petersburg on March 26 to lay a wreath to the column in Victory Square and meet with Governor Valentina Matvienko in the Smolny Palace. According to INTERFAX news agency, Matvienko will give a dinner in Berdymuhammedov's honor in the Sheremetiev Palace. The Turkmen president will visit St.Petersburg in connection with establishment of regular aerial service between it and Ashkhabad. RIA-Novosti meanwhile reports that Russia is Turkmenistan's number one partner in both export and import. Economic contacts with Russia accounted for 39% of the Turkmen foreign trade turnover in 2008. Discounting gas, the Russian-Turkmen trade turnover exceeded $910 million last year. Fuel and energy complex remains the basis of all Russian-Turkmen economic cooperation. Gas cooperation agreement for the period until 2028 was signed in 2003. More specific agreements followed, the ones specifying the bulk and cost of the Turkmen gas export to Russia. Russia was paying Turkmenistan $130 per 1,000 cubic meters of gas in the first half of 2008 and $150 in the second. As of January 1, 2009, the price is determined by market mechanisms. One hundred and twenty-one enterprises with Russian financial in it is registered in Turkmenistan. One hundred and twenty projects and contracts with Russian companies worth $331.4 million and 3.94 billion rubles are under way. Russian companies like Power Plants, KamAZ, Mobile Telesystems, Itera, Stroitransgaz operate in the Turkmen market. 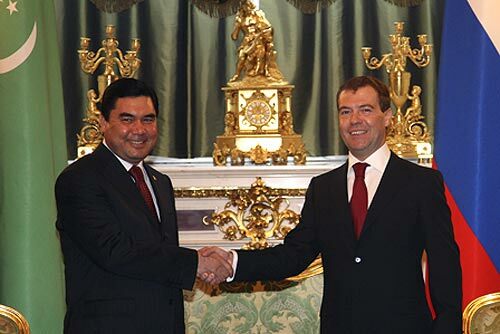 Russia established a trade mission in Turkmenistan in 2007.